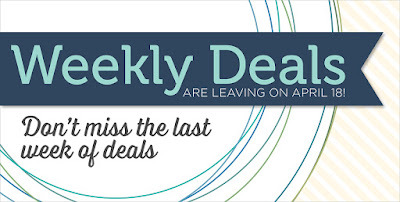 This is it - the very last week of Stampin' Up Weekly Deals. After next Monday, they'll be gone forever. There are some holiday Thinlits and Framelits on the deals this week, so be sure to check them out. It's time to start thinking about making a few holiday cards each month so you will be ready to send them (stress free!) when the holidays arrive!